Exciting things are happening at Traptic! Sign up for our email list to be the first to know about new updates (privacy is very important to us). Ripe berries rot in the fields with nobody to pick them. Desperate farmers scour the streets for more labor, and come away empty-handed. Groceries stores respond with ever-higher prices. Only you can rescue us! Software Engineer at Microsoft. Shipped software to hundreds of millions of users while on PowerPoint. Mechanical Engineer at UTC Aerospace Systems. Worked on jet engine parts. 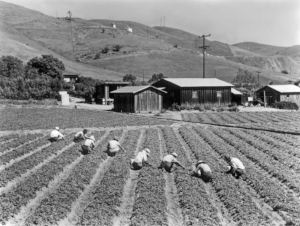 "Vegetable prices may be going up soon, as a shortage of migrant workers is resulting in lost crops in California.Farmers say they're having trouble hiring enough people to work during harvest season, causing some crops to rot before they can be picked"
"Farmers are being forced to make difficult choices about whether to abandon some of the state’s hallmark fruits and vegetables, move operations abroad, import workers under a special visa or replace them altogether with machines." "California agricultural workers will become the first in the U.S. to receive overtime pay if they work more than eight hours a day, under a law signed Monday by Gov. Jerry Brown." "Such has been the progress of ag-tech in California, where despite the adoption of drones, iPhone apps and satellite-driven sensors, the hand and knife still harvest the bulk of more than 200 crops. ... Now, the $47-billion agriculture industry is trying to bring technological innovation up to warp speed before it runs out of low-wage immigrant workers." "The net flow from Mexico to the U.S. is now negative, as return migration of Mexican nationals and their children is now higher than migration of Mexicans heading to the U.S."